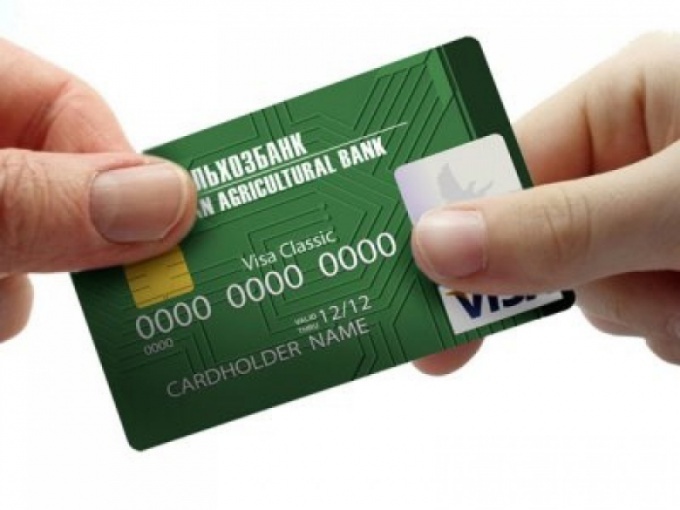 Russian agricultural Bank offers several ways to learn the current balance of their credit cards, among which you can choose the most convenient for you. The card holders today have the ability to be aware of the status of the account without visiting the Bank branch. To check the balance of the card is possible with a personal visit to the office of Rosselkhozbank, contacting the specialists of the Bank with a passport and a map. This can also be done via ATM. To do this, insert the card and enter the pin code. It is desirable to use the ATMs of agricultural Bank or partner banks (Alfa-Bank, Promsvyazbank). In these cases, all account operations can be carried out without additional fees. With the current rates for the surgery can always be found on the website of the Bank. Also the agricultural Bank lets you know the status of your account online without visiting the Bank branch. You can use the services of "Internet Office" and "SMS service" and to contact support. Check the status of the card balance of the agricultural Bank through the "Internet Office"
Online service "Internet Office" system of remote banking service for holders of Bank cards of agricultural Bank. It allows users to be aware of the balance of the account 24 hours a day. In order to access online banking, you need to enter into a contract. It is necessary to apply to the Department of the agricultural Bank with the passport and to write the corresponding application. After that, the Bank staff will provide one-time password that will be needed for the first login. In the future it will need to be change for security purposes. At the first visit to the "Internet Office" should pass a simple registration procedure, after which you can enjoy all the features of the system. Here the client Bank has the ability not only to monitor the status of your account but also make transfers, pay for services, etc. Check the status of the card balance of Russian agricultural Bank via "SMS-service"
Also, the agricultural Bank available balance check via SMS-service. The service can be activated at a Bank branch or at an ATM. It allows you to get notifications about all changes made using the card account (crediting to the account, write-offs on purchases etc.). Please note that the paid service. To check the current status of the balance you need to send SMS BAL **** (or BAL ****to the number +7 (903) 797-6020, substituting the asterisks with the last four numbers on the card. In the SMS should receive information about the balance. Finally, you can check the balance by phone support for cardholders (800) 200-60-99 (call for region - free) or (495) 651-60-99 (for Moscow).